A beautiful memorial tastefully designed and elegantly engraved on an Absolute Black Marble plaque is a wonderful way to pay tribute to a lost loved one. Our marble memorial plaques warm the monuments and rooms they occupy with the image and spirit of those they honor; and hopefully, the hearts of the people that view them. 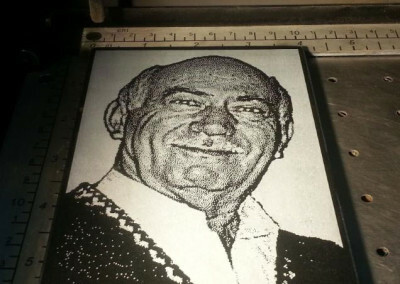 By using our Epilog laser machine, we can create a touching memorial plaque by transposing a photo of your choice and add poems, scripture, or any other custom words of your choosing. We use the best professional graphics tools available to enhance your images. 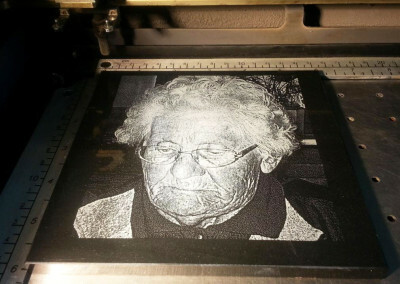 Backgrounds may be removed and image enhancement techniques are employed to produce the sharpest and brightest engraving. The fonts, text size and placement are carefully selected and placed to create a tasteful and artistic memorial of appropriate design to reflect the spirit of your lost loved one. And since we use absolute black marble, these images will last and keep their high quality appearance for many years to come. 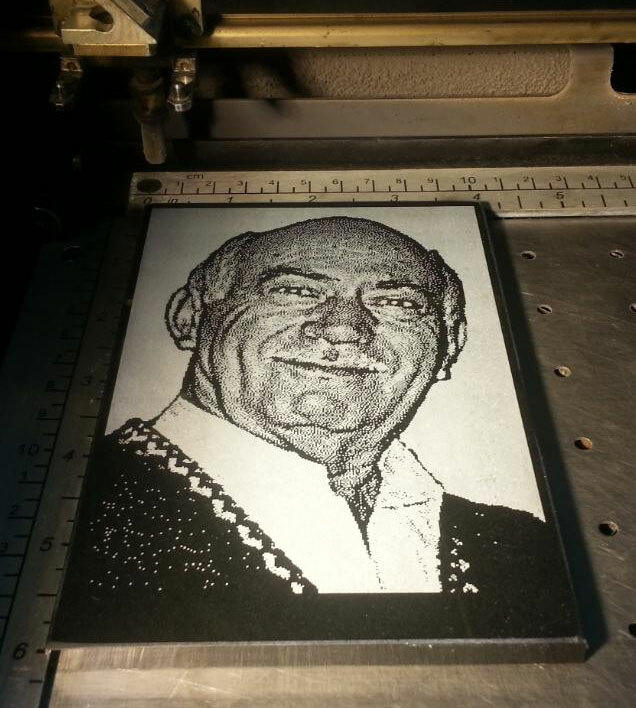 By using our Epilog laser engraving machine, we can create a touching memorial plaque by transposing a photo of your choice and add poems, scripture, or any other custom words of your choosing. We use the best professional graphics tools available to enhance your images. 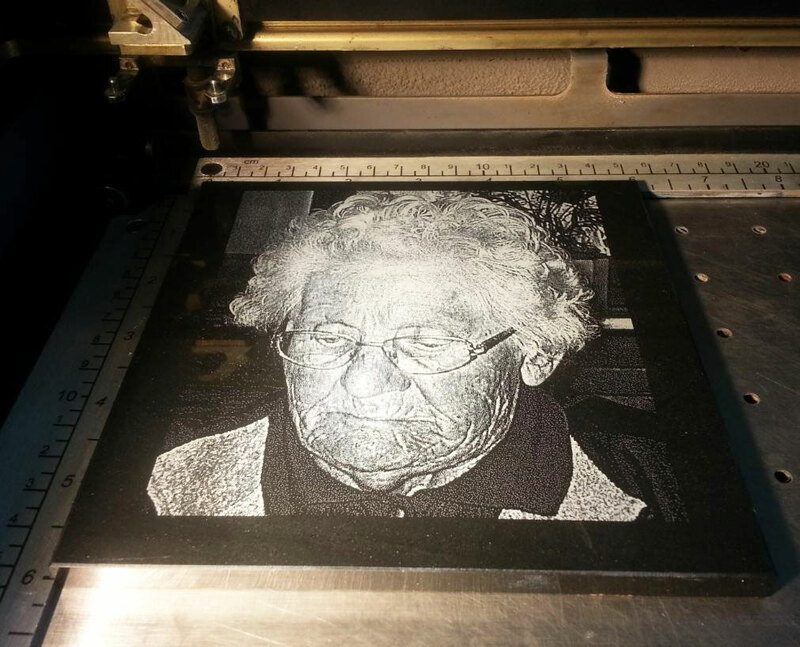 Backgrounds may be removed and image enhancement techniques are employed to produce the sharpest and brightest engraving. The fonts, text size and placement are carefully selected and placed to create a tasteful and artistic memorial of appropriate design to reflect the spirit of your lost loved one. And since we use absolute black marble, these images will last and keep their high quality appearance for many years to come. 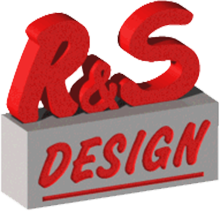 R&S Design provides this high-end custom engraving service in-house, which give us the opportunity to provide a quick turnaround time for our customer’s orders. No need to wait weeks for your custom item. These engraved marble plates are available for purchase at $1 per square inch. R&S Design is proud to offer these memorial plaques to celebrate the lives of lost loved ones. Please contact us with questions, or for more information.